At the Spielwarenmesse in Nurnberg - 31 January to 4 February - MarGe Models will introduce their very first Nooteboom scale model in scale 1:32 on their stand C48 in hall 7. 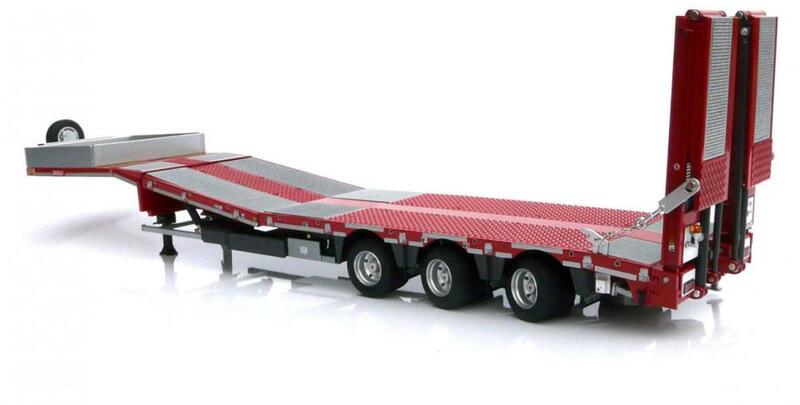 It concerns a 3-axle semi low-loader, type MCOS-48-03EB, particularly suitable for the transport of construction equipment and agricultural machinery. 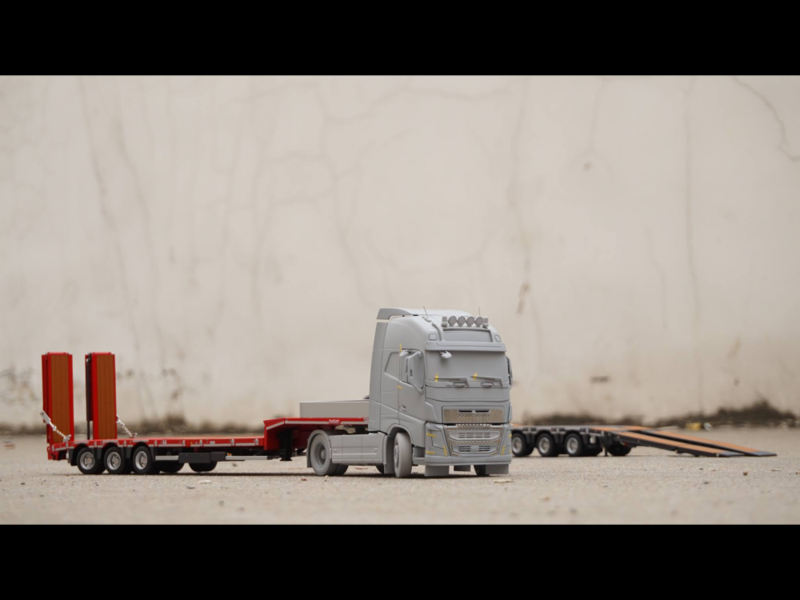 The model has plenty of detail and is fitted with steered axles, a height-adjustable load floor and double-folding ramps that can also be adjusted in width. 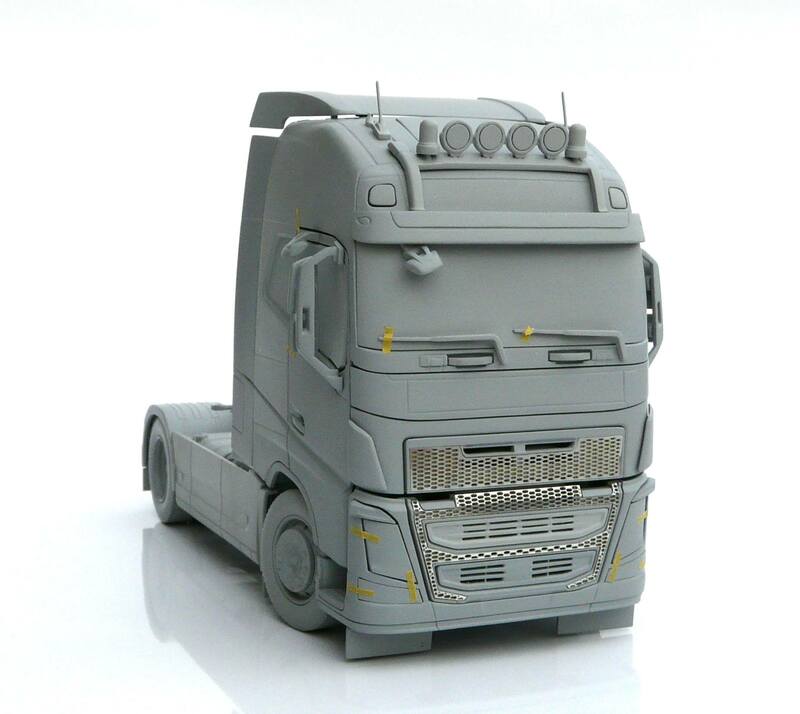 In Q2 of this year the model will become available to collectors for the extremely low price of EUR 85, incl. BTW. The model comes in two versions: a load floor and ramps with aluminium grid sections or with hardwood floor sections. Exactly like the options that are available for the real thing. During Q1 these models can be reserved via the Nooteboom Shop at www.nooteboomshop.com. MarGe Models have also designed new tractors for this trailer. 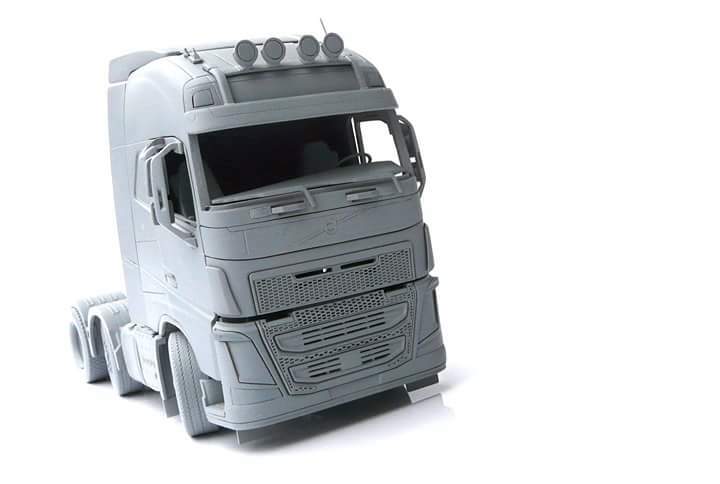 At the Spielwarenmesse they will present prototypes of the Volvo FH16 4x2 and the Volvo 6x2. This is the type of tractor that is often used in combination with a 3-axle semi low-loader. These tractors will become available later in the year. That's clever as no one else was making high quality lorry units and trailers,these will sell well,then there bound to make a bulk tipper too. Not for me though out my price range and I like making me own stuff on the cheap anyways. 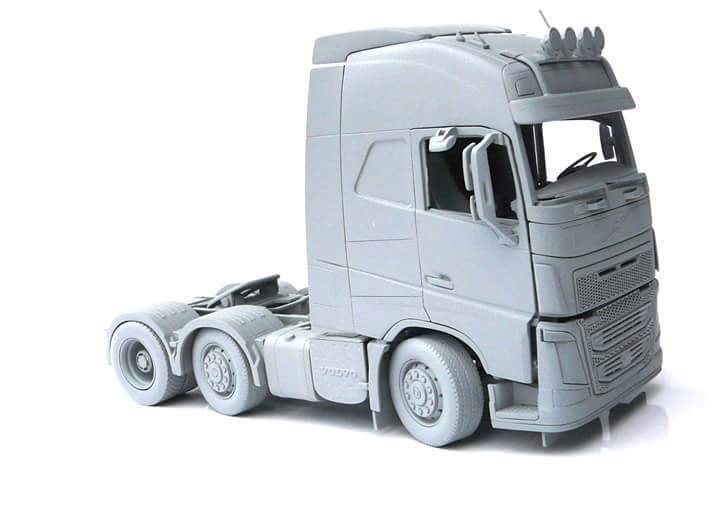 I suspect whatever comes next will be a lot more expensive,€85 is very cheap,remember 1/32nd is 50% bigger that 1/50th,and that same trailer,with tractor unit is €139. Why do you need to go to the Spielwarenmesse? One very excited chap here! And that price is superb, i'm currently scratch building myself an extending one that would have cost almost double that. Only slight moan would be why not a standard trailer rather than the slightly odd ball looking 'access platform' version. Can't wait for pics of the Volvo, maybe an S Series next? I don't know if I understand you correctly, but the platform is movable. So that platform can be lowered and you have a normal trailer. I'll be pairing mine with a Welly MAN 6x4. Be great if they did a right hand drive conversion kit!! 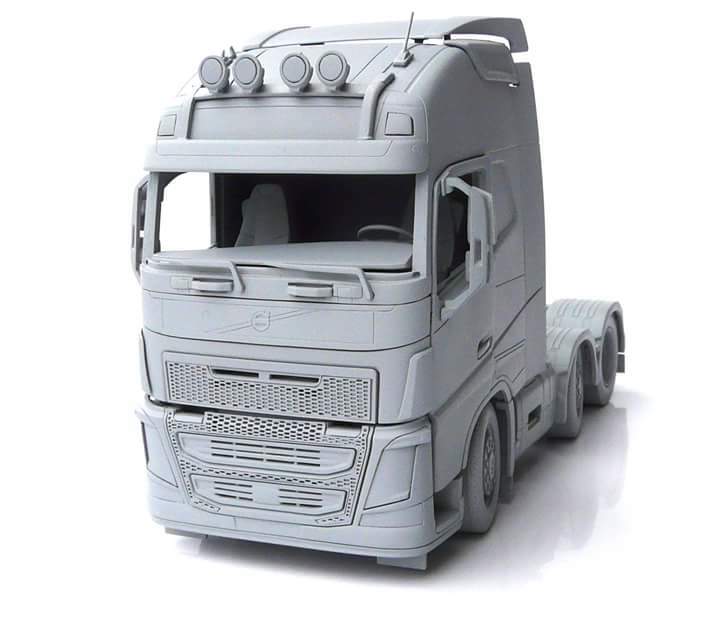 Laser etched grill,very nice,€89.95,wonder how much the six wheeler will be. Maybe shorten the chassis rails, or put some sort of HIAB on it. Those look great and being MarGe I've no doubt they will be excellent. 6x2 Photos also now posted, phoooar what a beaut. And at €95 an absolute steal! Had a funny feeling these would appear tonight,Thursday night trailers revealed,Friday night 4x2's revealed,tonight 6x4's.roll on tomorrow,ha ha&#33;.